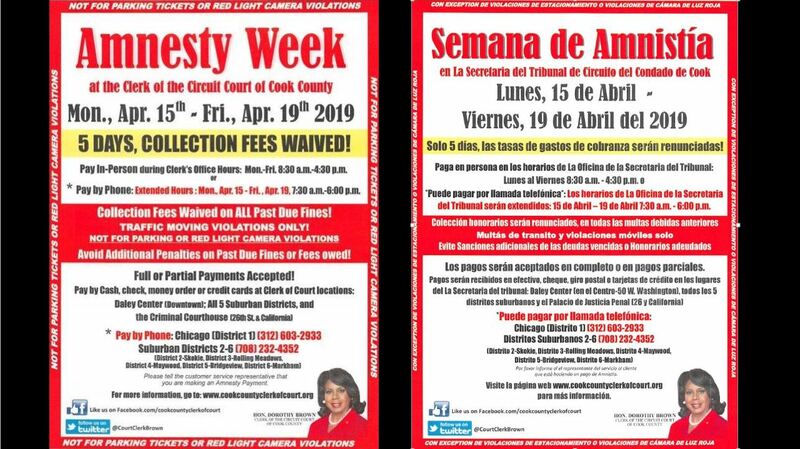 Monday, April 15th, 2019 thru Friday, April 19th, 2019 is Amnesty Week at the Circuit Court of Cook County. During this time, collection fees are waived for traffic moving violations. This does not include parking or red light camera violations.